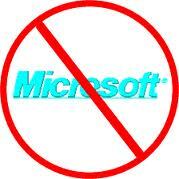 So it goes...: MS Support Try #3...Oh the Humanity! Tried again last night to get the whole XBox Live thing worked out. Spent an hour and a half with an American gentleman (thank goodness) and still did not resolve the issue. I swear, I was five minutes from breaking into tears. I had to hang up, or I would have gone off on the guy. He was in the process of "escalating" me again to someone who had access to more tools than he did. Can you believe that? It took him an hour and a half to realize he didn't have the right tools? I'm glad he wasn't fixing my dryer. Anyhow, my cell battery was about dead, I was toast myself, and at that point I'd forgotten why I called in the first place. I suspect I'll try again someday when I'm feeling lucky. I DID manage to fix my own dryer this week, however. A friend had mentioned at Ben's football game last week that fixing a dryer is easier than you would think. So, on Monday, I busted it open and took a look. It seems the belt had jumped its track, and was not allowing the drum to spin. With Donnas help, I was able to get it back on and put the thing together in an hour and a half. We turned it on, crossed our fingers and viola! It worked like it once did. I attribute the quick fix to a combination of frustration and a cordless screwdriver. Those things make any job easy and quick. I'm no longer afraid of appliances like I once was. I've now made decent repairs on my stove, dishwasher and dryer. Keepin' my day job, but trying to save a few bucks too. I'm looking forward to it. It should be a great chance to learn from a memoir master whose style I love. I'm not sure of the format, but was told to bring something to read to the group as well as something to write with/on. Sounds like a good day. The only drawback to it is I will be missing Ben's football game. They play at noon and this workshop goes from 9-2. So the Twins are one game from elimination again in the playoffs. Go figure. It must be early October. Just can't seem to get that Yankee monkey off their back. It has been a week of pristine Indian Summer weather around here. Just Gorgeous. No humidity, low 70's and clear skies. Can't beat it. Waiting for the other shoe to drop. My volunteering at Mosaic is going great too. It really is amazing how God puts you where you belong, especially when you're not sure what you're supposed to be doing. I love working with the middle schoolers. Turns out four of them were in my Boys Club group before this, so there's familiar faces. They're more mature (mostly). It's like Boys Club for grownups. I just hope I can have an impact in some way. As a friend, a listening ear, or a positive influence. Time will tell. It's nice being able to see Ben during the teaching to see his reactions, yet not have him in small group. It gives both of us our space and yet we're experiencing the same teaching etc. Brandon Brown the pastor is incredible at passing the message to this age group with passion and conviction. Truly a gift. He's teaching me things, and I'm not even a teen. LOL. Well that's all from the engine room. I'll try and post again with how Michael Perry goes later.